A homemade rocket, a cosmic firework and more out-of-this-world photos from March 2018. The plane of the Milky Way is rich in star-forming regions, such as the one pictured in this stunning scene by ESA's Herschel space observatory. 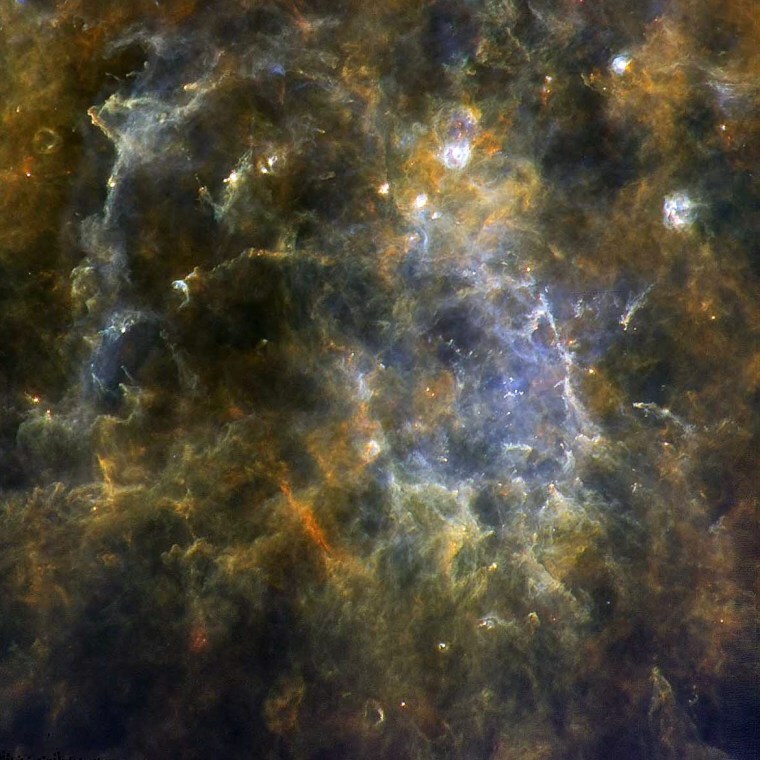 To the far-infrared eye of Herschel, this region reveals an intricate network of gas filaments and dark bubbles interspersed with bright hotspots where new stars come to life. The cooler regions, which emit light at longer wavelengths, are displayed in a red-brownish color. Hotter areas, where star formation is more intense, shine in blue and white tones. Some areas are particularly bright, which suggests a number of luminous, massive stars are forming there. The star-formation region in this image is located in the Carina neighborhood, some 7,500 light-years away. 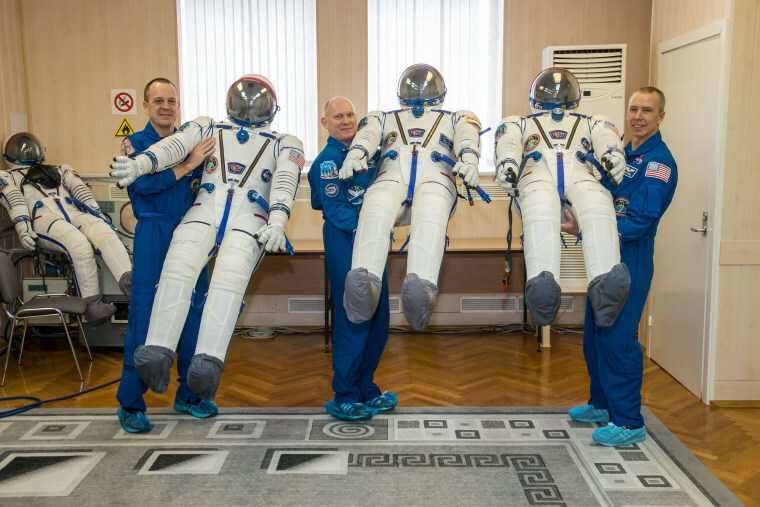 NASA astronauts Ricky Arnold and Drew Feustel and cosmonaut Oleg Artemyev, right, pose with their launch and entry space suits on March 5. 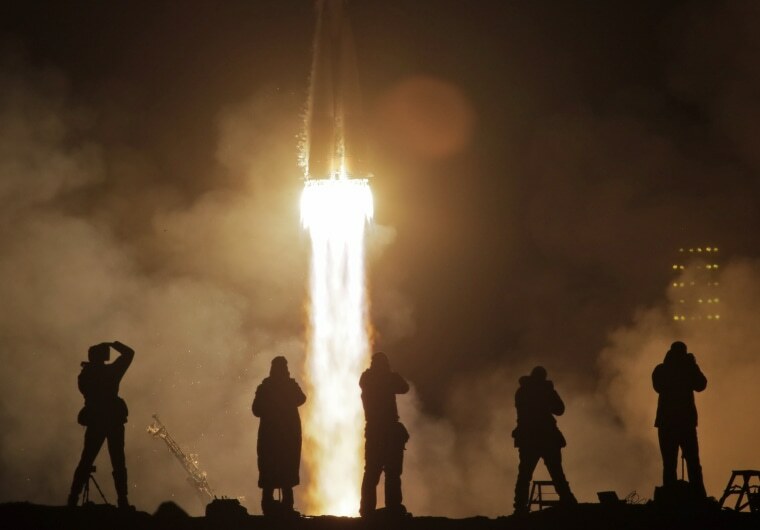 The trio launched March 21 for a five-month mission on the International Space Station. 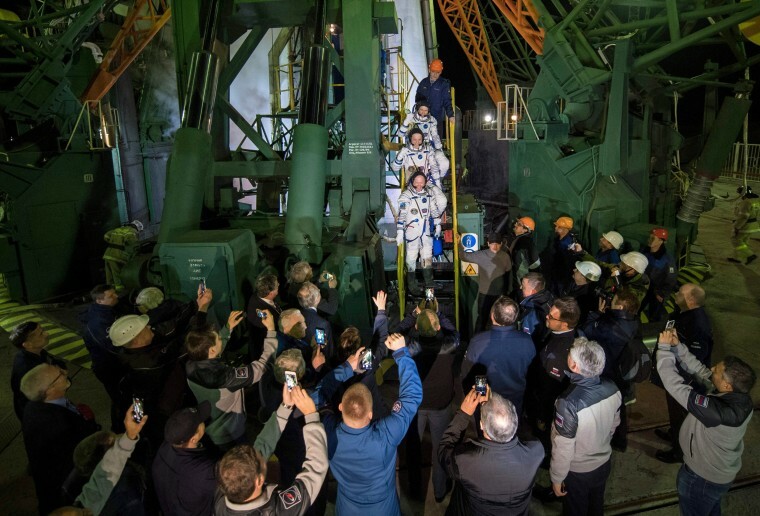 From top, Drew Feustel, Ricky Arnold, and Oleg Artemyev wave farewell prior to boarding the Soyuz MS-08 spacecraft. 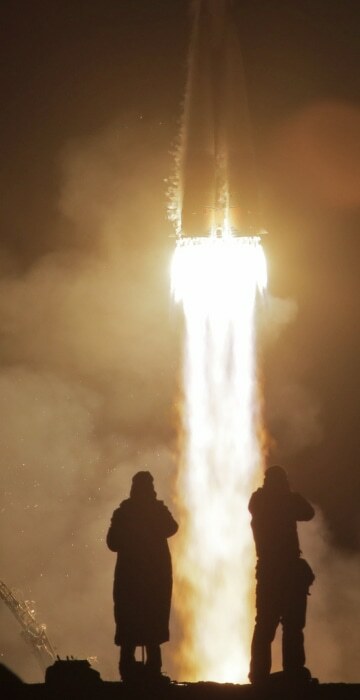 The trio launched into orbit on March 21 from the Baikonur Cosmodrome in Kazakhstan. The Soyuz-FG rocket booster launches on March 21. The arrival of Feustel, Arnold and Artemyev at the space station boosts the orbiting lab's population to its full complement of six crewmembers. 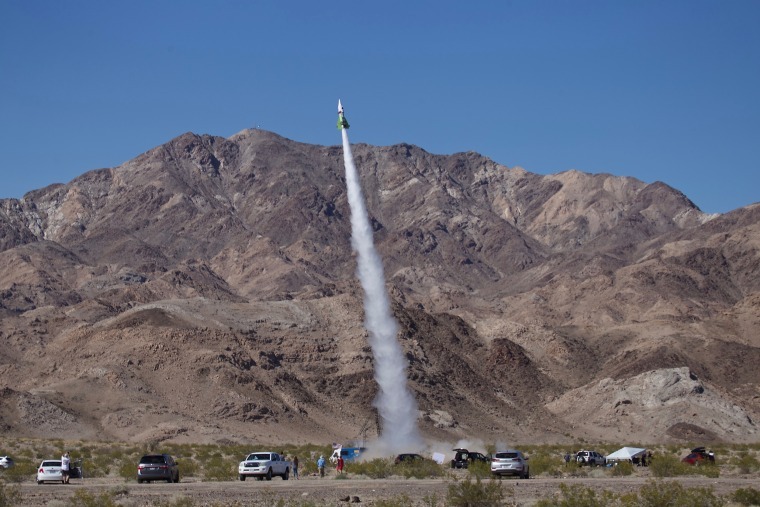 "Mad" Mike Hughes blasts off in his home-made rocket near Amboy, California, on March 24. Hughes, the rocket man who believes the Earth is flat, propelled himself about 1,875 feet into the air before a hard landing in the Mojave Desert. Hughes said he was "relieved," after being checked out by paramedics. "I'm tired of people saying I chickened out and didn't build a rocket. I'm tired of that stuff. I manned up and did it." 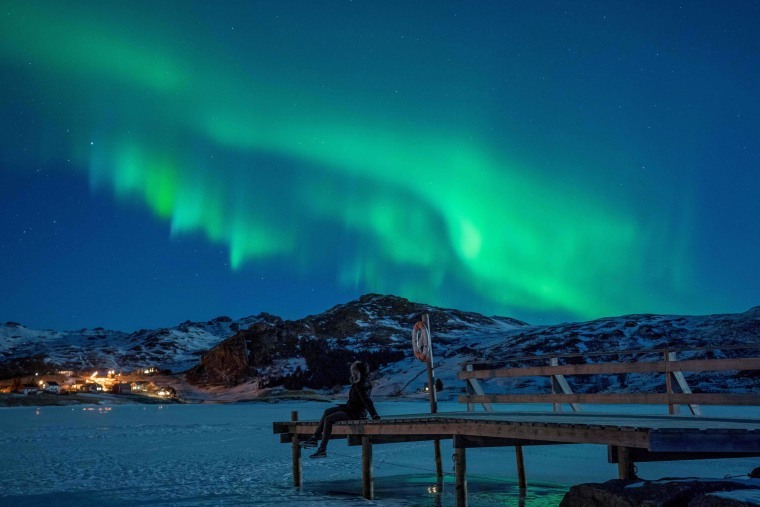 A woman watches the northern lights, or aurora borealis, from a pier in Bostad, in the Arctic Circle in northern Norway, on March 3. The majestic galaxy NGC 1015 is nestled within the constellation of Cetus, also known as the whale, 118 million light-years from Earth. 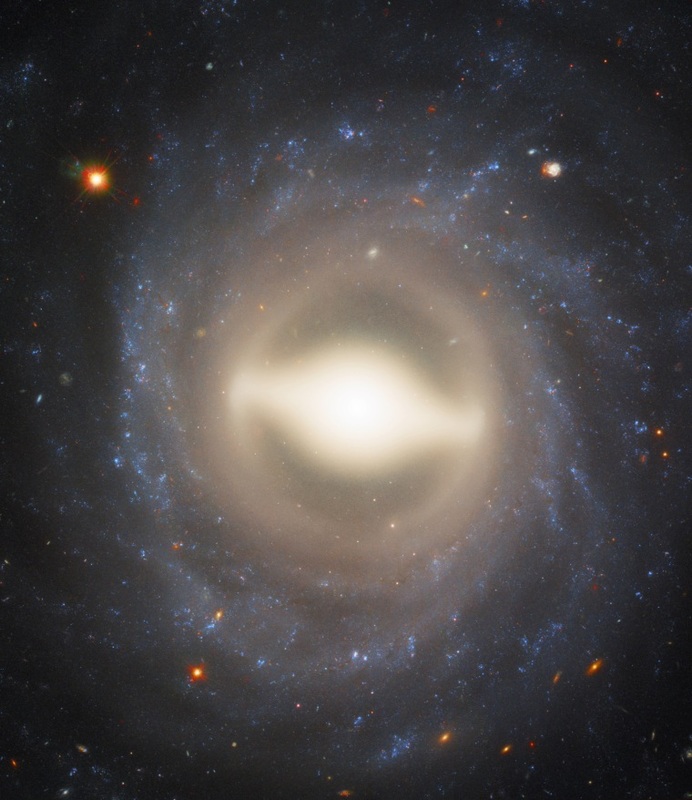 In this image from the Hubble Space Telescope released on March 12, we see NGC 1015 face-on, with its beautifully symmetrical swirling arms and bright central bulge, creating a scene akin to a sparkling Catherine wheel firework. 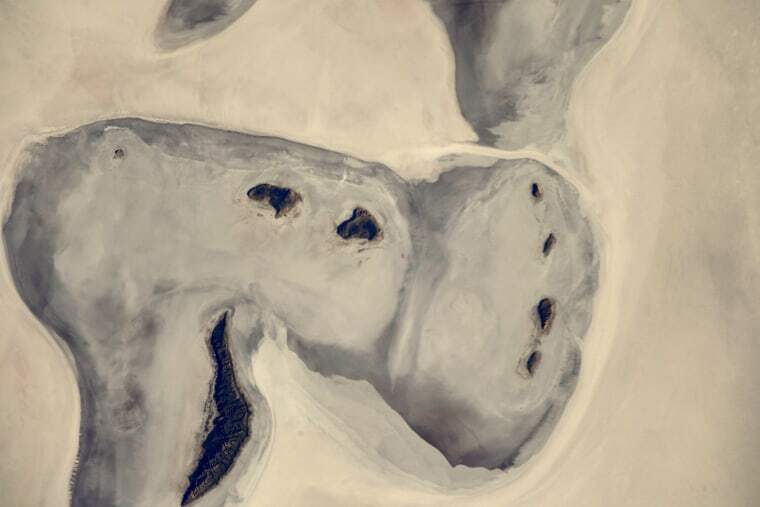 Russian cosmonaut Sergey Ryazanskiy tweeted this image of Australia on March 14. When Ryazanskiy returned to Earth in December after spending six months on the space station, he said he was bringing 200,000 images with him, and he's been posting selections on Twitter ever since. 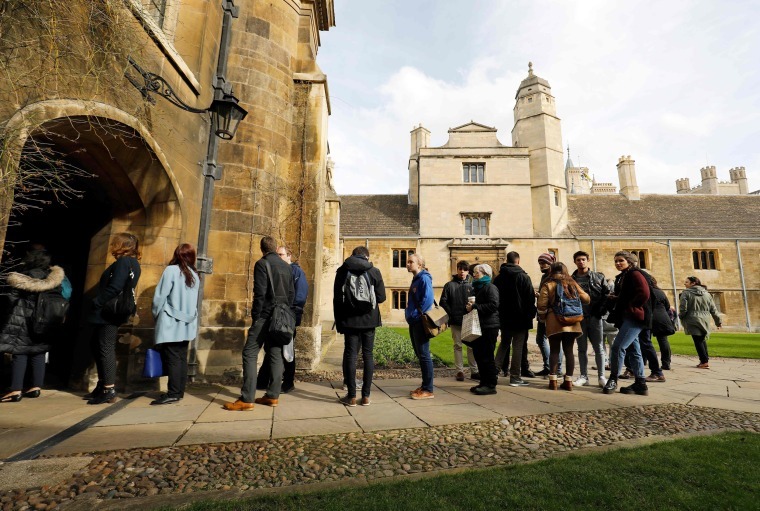 Students wait in line to sign a book of condolence at Gonville and Caius College at Cambridge University, where British physicist Stephen Hawking was a fellow for more than 50 years. Hawking, who died on March 14, was famous for his insights on black holes, the existence of God and quantum gravity. 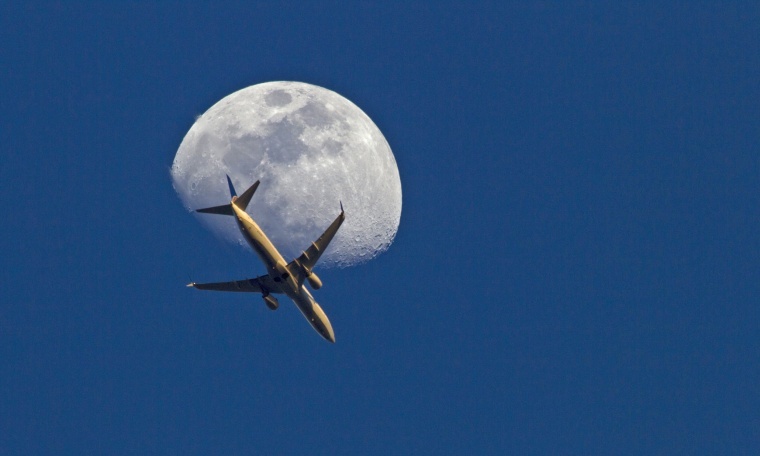 A United Airlines jet flies in front of the moon over Thousand Oaks, California, on March 26. Swirling cloud formations surround the south pole of Jupiter in this image captured by NASA's Juno spacecraft during its eleventh close flyby of the gas giant on Feb. 7. 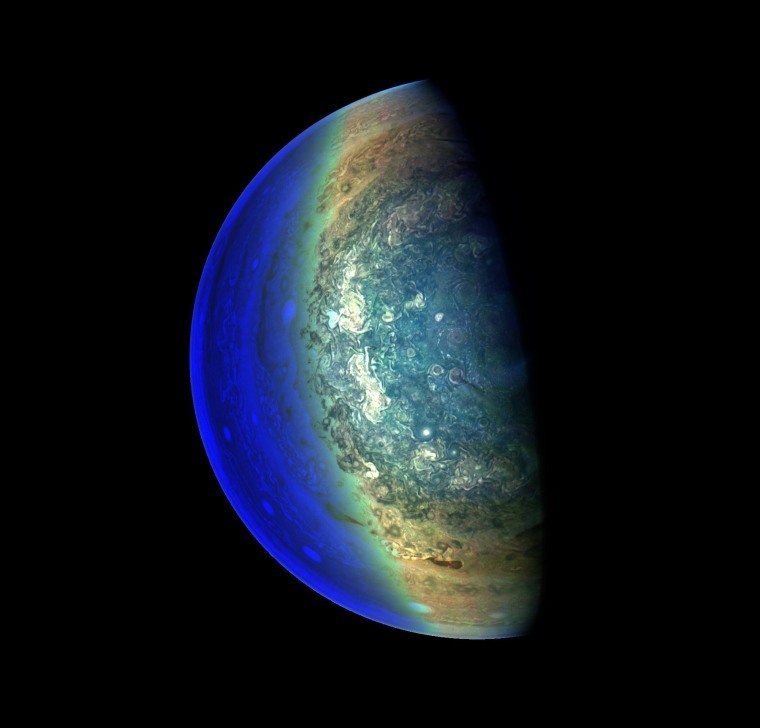 To make features more visible in Jupiter's terminator — the region where day meets night — the Juno team adjusted JunoCam so that it could take multiple photos at different exposures, hoping to capture one image with the intended light balance. This image was processed by citizen scientist Gerald Eichstadt and released on March 2. 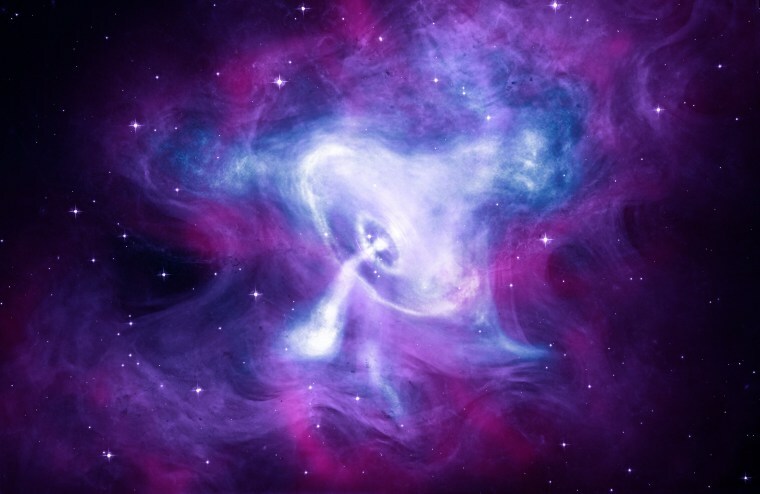 A new composite image of the Crab Nebula, released on March 14, features X-rays from the Chandra Observatory (blue and white), optical data from Hubble (purple), and infrared data from the Spitzer Space Telescope (pink). The Crab Nebula is powered by a quickly spinning, highly magnetized neutron star called a pulsar. The combination of rapid rotation and a strong magnetic field in the Crab Nebula generates an intense electromagnetic field that creates jets of matter and anti-matter moving away from both the north and south poles of the pulsar, and an intense wind flowing out in the equatorial direction. 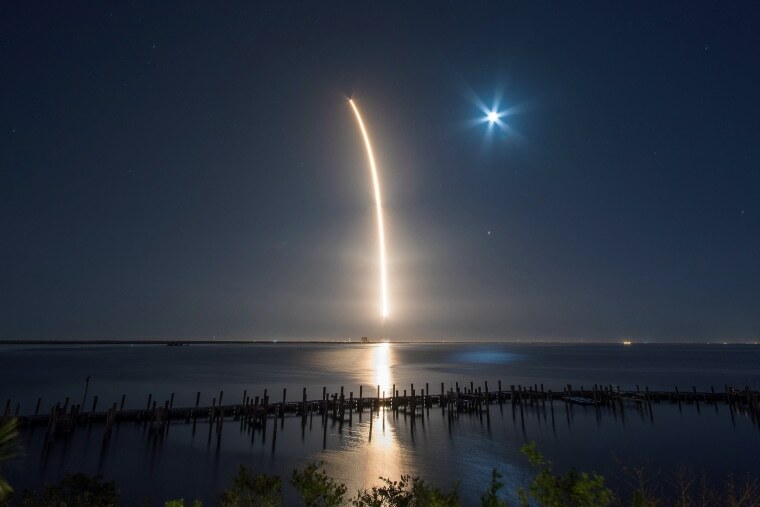 A SpaceX rocket launches from Cape Canaveral in Florida on March 6, successfully deploying a Hispasat 30W-6 satellite approximately 33 minutes after launch. SpaceX did not attempt to land Falcon 9's first stage after launch due to unfavorable weather conditions in the recovery area off the Atlantic Coast.